I reckon I must have been watching the wrong race last Sunday. I saw one that, while it wasn't necessarily a classic, was perfectly diverting, at the front was fought among the best F1 drivers in the best cars, contained plenty of overtakes as well as nine lead changes, included a range of divergent strategies playing themselves out, had an exciting finish as a freshly-booted Sebastian Vettel sought to chase down a podium finish at an astonishing rate, and provided a highly worthy winner. Pretty close to what the modern formula is designed to create in other words. And yet, to hear some of the reaction expressed online and elsewhere, what I actually saw was an hour and a half that made a mockery of the sport. Perhaps I'd put the wrong TV channel on by mistake. Regular readers of this site (hello to both of you...) may be aware by now that I don't have much truck for the ongoing 'tyred and emotional' complaints regarding the Pirelli tyres. This is mainly on the grounds that what we have now is much preferable to what we had before. In pre-Pirelli times, when tyres hardly wore out, what would occur most of the time was we'd have qualifying and a resultant grid order, then in the race a first lap shake out and then...precisely nothing would happen. Anyone who watched the 'classic' Chinese Grand Prix of 2008 shown on TV in its entirety last week witnessed a quintessential example of this norm stretched out over a soporific ninety minutes. And this tyre formula signed off appropriately, with the farcical sight of a world championship being decided as a contender, Fernando Alonso, sat behind a plainly slower car for fully 40 laps, not passing or even having the remotest possibility of doing so (short of the guy ahead binning it). And this is Alonso, one of the sport's most tigerish performers in the normal run of things, let alone when a title's at stake. What we had absolutely was nothing to do with motor racing in my view. Therefore, the talk eulogising F1's mythical 'good old days' is absurd. 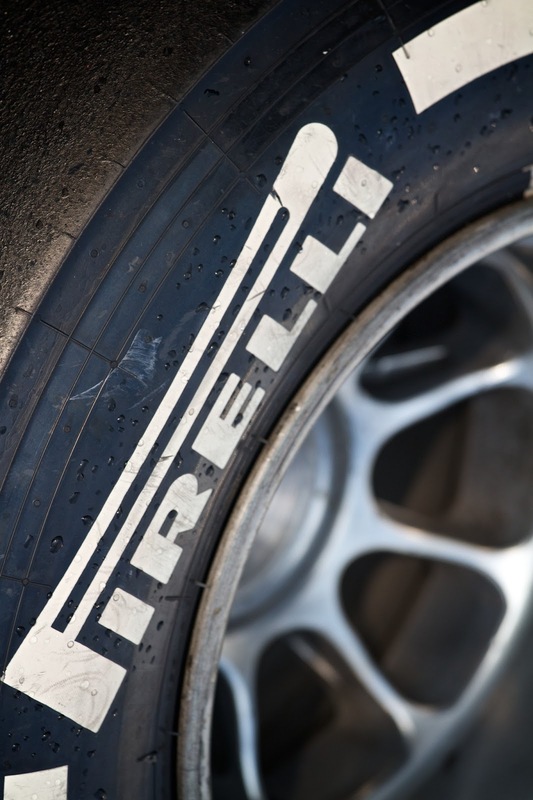 And while some splutter that the limited lifespan of the Pirellis is engineered for 'the show', the show must be considered as well as the technical exercise. Without wishing to be facetious, if no one is prepared to watch the show then there is no F1, as no one would invest money in it. And one of the undercurrents of this 'good old days' talk is the suggestion that the current formula - wherein drivers don't push to the maximum all day like they used to - isn't rewarding talent. Yet this is also a nonsense, just look at the results of the three races this season so far as evidence: the winners are Raikkonen-Vettel-Alonso, three of the four most revered drivers currently active in F1. And the fourth, Lewis Hamilton, has also been right in the mix this year (and the four also make up the top four in the drivers' table). And look at the result from the China race: Alonso finished 40 seconds ahead of Felipe Massa in the same car, Raikkonen finished 43 seconds before stable mate Romain Grosjean did, Jenson Button almost 30 seconds prior to Sergio Perez. And Alonso in particular demonstrated that pushing to the maximum at key points of the race (such as on in-laps) is still vital, and qualifying pace remains important too given the top three of the grid also were the top three at the end (and that outcome doesn't suggest that the race results we're getting are distortive of ultimate pace). It's just that other skills seen down the years but lost in the age of F1 as a sprint that started in the mid-1990s - such as brain power, reading a race, managing tyre life, showing restraint when necessary - are rewarded again now too. Talent still counts in other words. If anything it is being rewarded more than it was. It's hard to contest the point that the soft tyre lasting just a handful of laps in China wasn't ideal. But in my view any revisions to the tyre formula need to at most be about tweaks to what we have rather than returning wholesale to our grim past intoxicated with false and absurd notions. Three races in to the 2013 season it still feels rather like we don't have the full competitive picture, that we've only received brief, teasing glimpses of it. Rain featuring in the first two rounds (in qualifying in Australia; in qualifying and the race in Malaysia) has cloaked things somewhat, as has the fact that the Shanghai track in China is an unusual one for many reasons, mainly that it is 'front limited', i.e. taxes the front of the car more than the rear, as well as tends to have lower than average ambient temperatures for an F1 weekend (see the fact that Nico Rosberg won there last year as evidence of it not really being a bellwether). 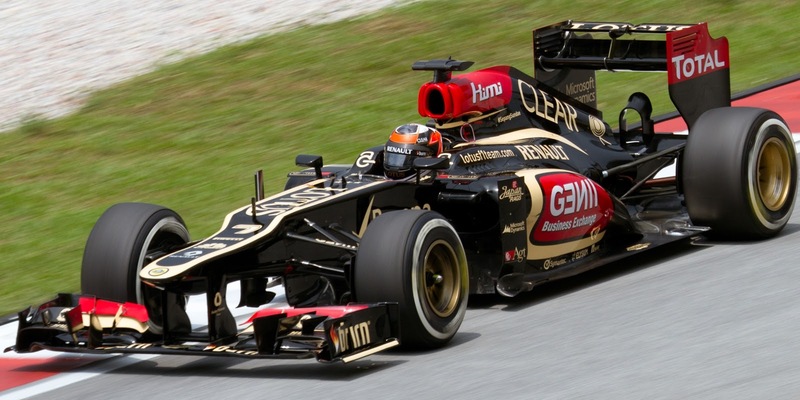 Kimi Raikkonen - one of three title contenders? But the picture emerging just might be that the title fight is distilling to a Vettel-Raikkonen-Alonso affair. All have had reasons for encouragement in the first three rounds; all three have been contenders at the front with reasonable regularity thus far. And of course such a title battle would likely be a good one: all three drivers are strong and know how to win titles, and all three drive for teams with championship pedigree. And contrary to the fairly common view, I believe Enstone is perfectly capable of keeping up in a development race, instances in the recent past where it's fallen behind (such as in the last two years) has owed a lot to peculiar circumstances rather than to anything endemic in my view. Lewis may yet get involved in the scrap if the Mercedes can improve its race pace a little (and that team avoids its usual decline as the year goes on). Yet an elephant in the room for Merc may be reliability, given Nico Rosberg's had more than his fair share this year (not making the finish in two of the three rounds) and such problems if not licked will likely catch up with Lewis sooner or later. Then there’s McLaren, which has struggled so far (against some expectations China following on from a three-week break didn't mark its salvation). The team is capable of pulling a rabbit out of the hat, but you feel that it must have produced the said bunny by Barcelona at the latest if the honours aren't to be out of its reach already. Red Bull becoming too much itself? Modern F1 is the age of the Red Bull. Three championship doubles in the last three years say that is so. And while its reaching the top has been impressive, its maintaining of the success has been doubly so. Throughout its period of dominance there has been almost no sign of relent, little sign of anyone usurping the outfit. We necessarily therefore have to be cautious when questioning its potential or predicting its demise, such is Red Bull's stellar record and propensity to bounce back. Red Bull - beginning to relent? 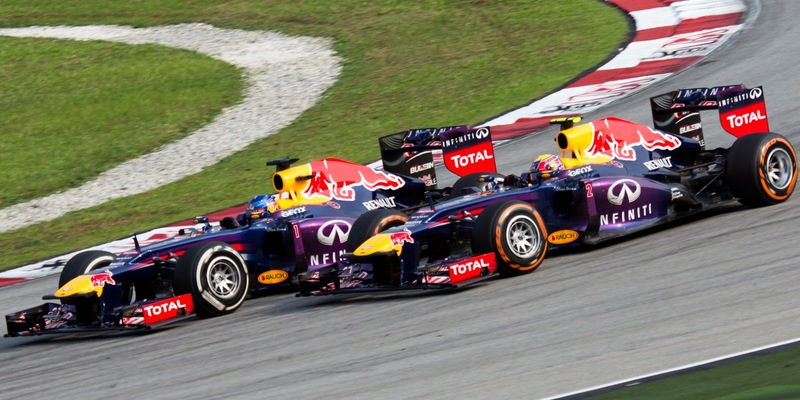 But whisper it, are we in 2013 seeing the clearest signs in a while of Red Bull relenting? And not so much that other teams are beating Red Bull but that the team is beginning to beat itself? For one thing, we're used to Red Bull almost never making operational errors, and yet in a single weekend China we witnessed the team neglect to put enough fuel into Mark Webber's car for qualifying, not long after it did the same with Vettel in Abu Dhabi last year, and then in the race the pit crew managed to not affix Webber's wheel properly in a stop, despite a parallel front wing change taking the pressure off time-wise. And as Gary Anderson noted the team all the while gave the outward impression of being rather at sea generally in the China weekend. Is it all merely a blip (perhaps related to edginess associated with the Malaysia controversy and fallout), or are standards slipping? And as James Allen outlined in his excellent China strategy analysis as well, equally unusually the team has started to make errors on strategy. Twice in three rounds Red Bull has made a strategy call which was at best unhelpful and at worst counter-productive: in Malaysia it made the curious call to pit Vettel early to change to slicks, despite him leading and therefore being in prime position to react to what those behind did. As it was, the change was too soon and Seb lost the lead. While in China Seb sacrificed qualifying notoriously in order to start on the medium tyre, which didn't seem to help him in the event. Red Bull has often defined itself by its swagger, its willingness to think out of the box and to seize opportunities, but up until now such an outlook has always been tempered with hard-headedness, particularly when it comes to race strategy. Is the team now losing the precarious balance it had struck and started to do too much of what made it great? In other words, just as Lotus's downfall can be traced to Colin Chapman taking his legendary creativity to too much of an extreme with the Lotus 80, is it possible that Red Bull is becoming too much itself? To borrow from The Hitchhiker's Guide to the Galaxy: it is an important and popular fact that things are not always what they seem. Indeed, it is the inadvertent messages, those received from reading between the lines, that can reveal much more than the prose does by itself. Esteban Guiterrez - under pressure already? And so it may have been with Sauber. Between the Malaysian and Chinese rounds team boss Monisha Kaltenborn made some comments in public backing its driver Esteban Guiterrez, insisting that the Mexican is doing well and is much more than a pay driver. The trouble is, I wasn't aware that anyone was asking questions about him in the first place. Has Kaltenborn revealed, inadvertently, that the team is feeling that Gutierrez is under pressure already? Or, to put it another way, did it protest too much? And unfortunately Gutierrez followed it up with what appeared an egregious error of judgement early in the Chinese race, missing his braking point at the end of the long straight and wiping out Adrian Sutil in so doing (such was the extent that he got it wrong I actually thought at the time that his brakes had failed, but apparently not). Gutierrez is on something on a hiding to nothing of course, given he's alongside the highly-rated Nico Hulkenberg in a car that's underperforming slightly and as we often say testing restrictions has made life for F1 debutants akin to being thrown into the deep end of a swimming pool to see if they can swim or not. But if he is under pressure it is the latest reminder of F1's time-honoured unforgiving, cut throat nature: a new driver in a midfield team with money behind him, and within three races of his top level career he has wolves at the door already. By contrast, Jules Bianchi has turned many-a-head in the first three races of his F1 career for all the right reasons. Few are upset with this situation but one who probably is the guy he (sort of) replaced at Marussia, one Charles Pic. This is because when it comes to being the up and coming young guy winning friends with their performances in the 'B Class', Bianchi is rather rapidly stealing Pic's light. And Pic presumably didn't foresee this, given his Marussia to Caterham switch was supposed to be a step up, however slight. 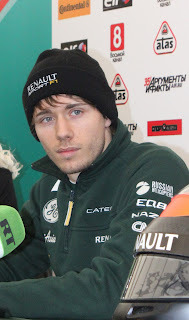 Pic was a pleasant surprise last year in how he performed in his freshman campaign alongside the rapid Timo Glock, particularly mid-season when he plain left Glock behind in the German and Hungarian weekends. But the Caterham has struggled this year, slipping behind Marussia, and the risk is that Pic's reputation will suffer by association. And worse, a rumour circulated in the course of the China weekend that Heikki Kovalainen is to be brought back by Caterham for future practice sessions in order to evaluate upgrades. While it is strictly at the rumour stage, it remains an unwelcome suggestion for Pic. I was therefore pleased that Pic had a timely bounce back in the China race. While he qualified behind both Marussias, close to a second over Bianchi's best, he only finished two seconds behind Bianchi in the race, and was way ahead not only of Max Chilton but was upwards of a minute ahead of his team mate Giedo van der Garde. A few more of those and Bianchi won't be the only young French driver near the back turning heads.